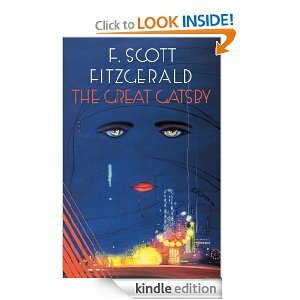 I read Gatsby a long time ago, and I remember liking it a lot, but I don't remember the plot or the characters. I'm a great believer in reading good books more than once. Thanks for the suggestion. An absolutely amazing book! I started it at three different times in my life, and had trouble getting through the beginning. This past year I picked it up again and finished it in a day and a half. It's an amazing character study; so tragic, but as you said, so relateable. i loved this book and saw the first movie in theatres many years ago--loved mia farrow in it--to me it was one of the few movies that held true to the book! I think I read this book too young. The characters annoyed me. All of them. Seriously. I think they'd still annoy me (I have a low tolerance for people who crave material things), but i think I'd be better able to look at the subtext now. But I think I REALLY would have enjoyed it best with a discussion and the insight of a professor. I read this book in high school and I had a hard time liking any of the characters, but I think they are written so you don't want to like them. But the story is a great story. Wow. I'm glad others like the story too. And Krista, try reading it again. Your perspective on the characters may have change as you grow up. I was the same way! Read in my junior year in high school. It was pretty good, I thought. Then I taught it to a bunch of high schoolers - and I gained a new appreciation for the book. 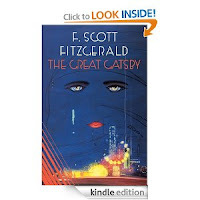 You are very right in saying that there is a little bit of every character in us, but for me it is definitely Gatsby. I love Gatsby. I'm nervous about the new movie interpretation coming out, though.